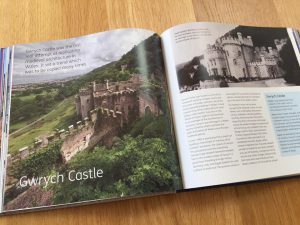 The history of Wales in 50 landmark buildings, spanning more than 800 years, will be revealed in a new book published this November. 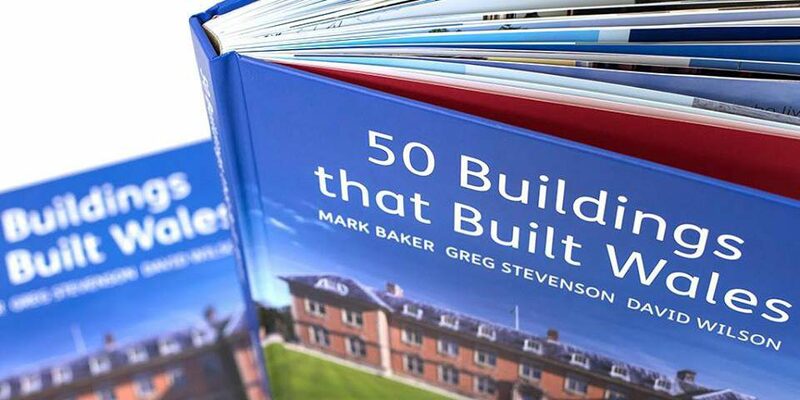 50 Buildings that Built Wales explores the idea of identity as expressed through a nation’s ‘bricks and mortar’, considering the industry, culture and language of Wales and the way in which these have all come together to form the Wales we know today. 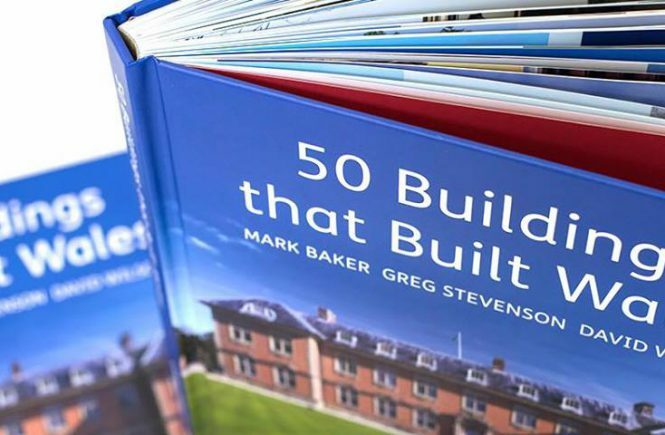 Written by architectural historians Dr Mark Baker and Dr Greg Stevenson, with photographs by noted Welsh photographer David Wilson, this rich book is filled with the stories of the people who helped make these buildings so iconic. • How a little building in the valleys changed the face of British healthcare forever. 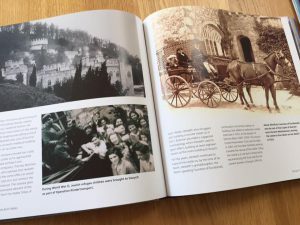 The book is also filled with trivia such as when and where the world’s first £1million cheque was made; what secret ingredient makes the bricks of Pontcysyllte Aqueduct red; where Doctor Who’s weeping angels come from; and where the Bible was first translated into Welsh. Buildings include: Llandudno Promenade; Gwrych Castle; Cathays Park, Cardiff; St Davids Cathedral, Pembrokeshire; Caernarfon Castle and the Industrial Terraces of Blaenau Ffestiniog. 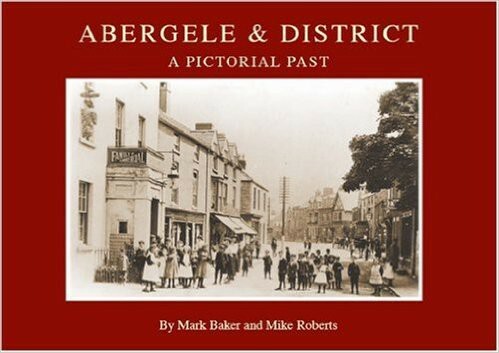 Dr Mark Baker is an architectural historian based in Wales. 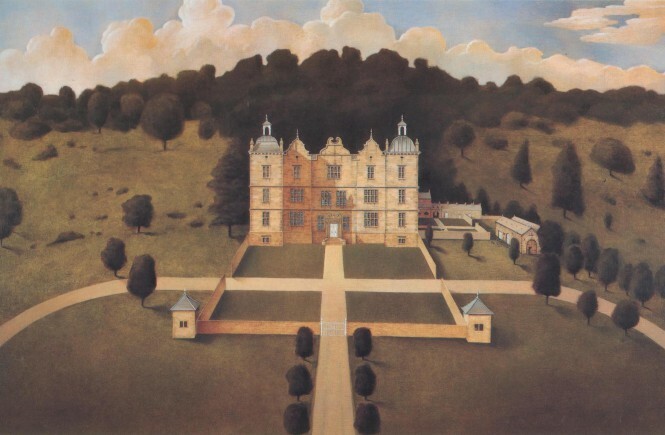 He read History and Archaeology at Bangor University, and Medieval British Studies at Cardiff University, where he also completed his doctoral thesis on The Development of the Welsh Country House in 2015. 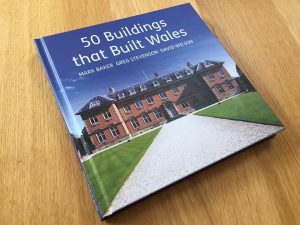 As a freelance architectural historian, researcher and writer, Mark has worked with organisations such as the National Trust, Cadw, Royal Commission on Ancient and Historical Monuments of Wales, building preservation trusts and private house owners. 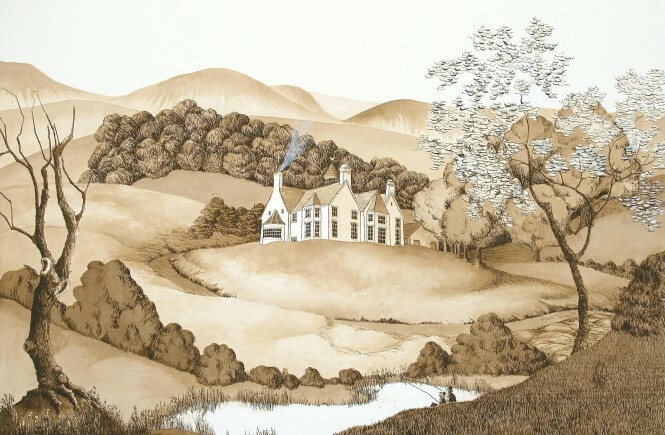 Dr Greg Stevenson is an architectural historian and Research Fellow of the University of Wales, where he lectured in the history of Welsh architecture at Lampeter. Known to viewers of S4C television for his series Y Ty Cymreig and Y Dref Gymreig , Greg has authored and co-authored several architecture books including Cartrefi Cymreig / Welsh Homes, Cartrefi Cefn Gwlad Cymru / Houses of the Welsh Countrywise. He restores vernacular and traditional buildings across Europe for Under the Thatch. David Wilson is a fine art photographer based in Pembrokeshire, west Wales. His images depict the breathtaking beauty and raw majesty of a land and seascape sculpted by extreme elements and partially shaped by man. 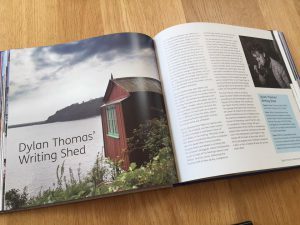 His acclaimed books include Pembrokeshire, Wales: A Photographer’s Journey and The Starlings & Other Stories , a unique collaboration with some of the finest crime fiction writers in Britain.